NEW: Value & Gift Sets available now! This unique multi-purpose gel promotes the appearance of healthy skin, hydration and soothing relief. 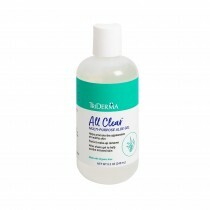 Our favorite Aloe Vera* product to gently remove make-up and help reduce dry looking skin. May also be applied after shaving to help soothe irritated skin. Daily Calming Moisturizer™ is made with healing botanicals like Certified Organic Aloe*, Allantoin, Avocado extract & Vitamin E. This light-weight formula helps both baby & mommy’s skin feel silky soft. 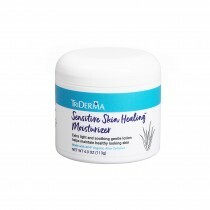 Perfect for daily use after bathing or to help soothe skin. This lightweight, non-greasy lotion helps moisturize all skin types, including sensitive skin. Our favorite product to leave skin feeling silky soft. Daily use helps maintain the appearance of healthy looking skin and skin tone. © 2018 Genuine Virgin Aloe Corp. All Rights Reserved.